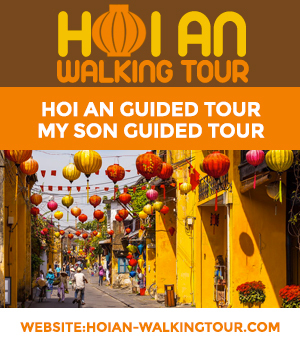 You are at:Home»Must to see»What to see between Hoi An and Hue? This is the route most travellers take, but it is not always easy to know what to see during this trip. Many do it in just one go with a stop at Hải Vân Pass ​​but a lot of tourists are not aware about the Linh Ung pagoda or Lang Co and its beautiful beaches. It is an essential stop when going from Hoi An to Hué. It is the main monument that you will meet on your way. The mountains are composed of five outcrops of limestone isolated from the surrounding plains, each riddled with lots and lots of caves, some of which have been turned into pagodas and shrines. Each mountain represents one of the five elements of the universe: water, wood, fire, metal and earth. The main mountain, representing water, has a way to the summit with two entrances open to tourists. Linh Ung Pagoda is located on the Son Tra Peninsula and is the largest temple in the city of Da Nang. Outside the pagoda, there are various Buddha statues, the largest of which being Lady Buddha. With a height of 67m and lotus diameter of 35m, which is the equivalent to a 30-storey building, it is considered the tallest Buddha statue in Vietnam today. The view is also worth its weight in gold. Hai Van Pass is a 19-kilometre road that meanders over a fortress of mountains, connecting Da Nang with the town of Lang Co in the Hué province. At the top of the Hải Vân Pass, there is an old fortress. As is often the case, the view is breathtaking if you are lucky and there are no clouds. Lang Co is a small town on the other side of Hai Van Pass from Da Nang. Its main attractions are its wonderful lagoon and beaches. Lang Co is also where you will find seafood restaurants on stilts where very few travellers stop. There are many beaches to explore, with the best time to visit being from March to October. Don’t expect anything glamorous until you reach Laguna Lang Co, an integrated resort. Most of the coast north of Lang Co is very local and quiet until sunset.